Selling or Buying a Home this Spring? 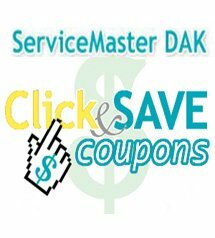 You are here: ServiceMaster DAK > Blog > Selling or Buying a Home this Spring? Spring is the busiest season in the real estate market. Hope you will find the below tips helpful when selling or buying a house. One of the first things prospective buyers notice is your floors, so let us help you make a great first impression with a carpet or wood floor cleaning by SERVICEMASTER DAK. According to a survey conducted by the National Wood Flooring Association of real estate agents across the country, 82% agree that homes with wood floors sell faster and 90% agree that homes with wood floors sell for more money. Here are a few other tips from the experts at HGTV to put your house at the top of a buyer’s list. Every buyer is looking for storage, so remove half the items from your closets and organize what’s left in there. Maximize the light in your home by taking down the drapes, cleaning the windows, changing the lampshades and increasing the wattage of your light bulbs. Not every buyer is a dog- or cat-lover, so put away your food bowls and litter boxes and remove pet hair. The benefits of remodeling your kitchen are endless, not the least of which is getting 85% of your money back. The first impression is the only impression. Spruce up your home’s exterior with inexpensive shrubs and brightly colored flowers. You can typically get a 100% return on money you put into curb appeal. Purchased a New Home. Now What? You signed on the dotted line and now you have a beautiful home. In the midst of the excitement over new furnishings and decorating ideas, many new homeowners often overlook the need to clean a new home before bringing in belongings. Your new home has obviously been cleared out, but that doesn’t mean it’s been cleaned out. To help get you settled quicker, call SERVICEMASTER DAK at 847-564-0204. We offer specialty cleaning services such as carpet, rug and upholstery cleaning, tile and grout cleaning, wood floor cleaning, air duct and dryer vent cleaning and more.